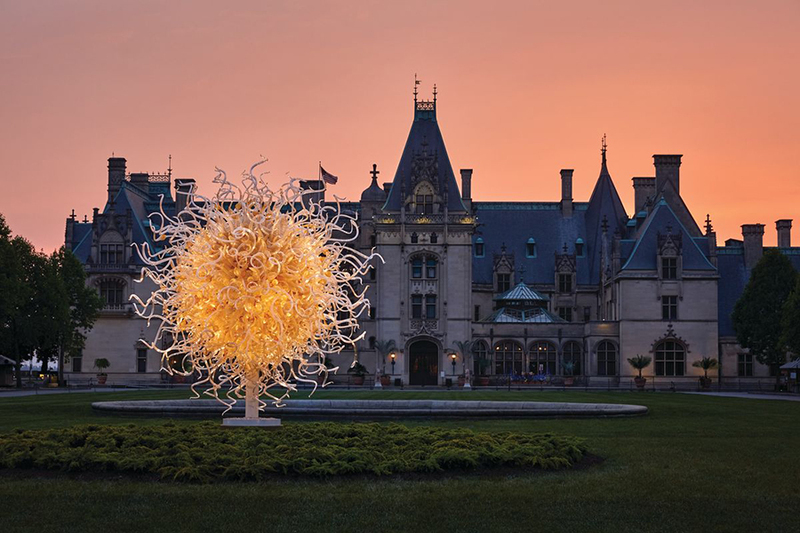 Join your fellow members of BRAHM on a special getaway to visit the Chihuly Exhibit at the Biltmore Estate and enjoy the artistic charm of Asheville. 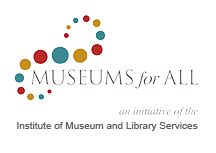 We will depart from the Museum on Thursday, June 7th by chartered motor coach. Upon arrival in Asheville, we have planned a special behind the scenes visit to the studio of Alex Gabriel Bernstein. This award-winning artist skillfully combines power and sensuality in sculpted glass. Following this visit, we will have delicious lunch at Fig located in the Biltmore Forest shopping complex. This four-star restaurant is known for its delicious seasonal offerings. Following lunch, you will have some time to browse the boutiques and galleries located in the surrounding shopping area. In the afternoon we check in to our accommodations for tonight – the fabulous Inn on Biltmore Estate. Styled after English and French manor houses, this elegant inn is the next best thing to a trip to Europe. It has won numerous awards including the prestigious Forbes 4 diamond award and was chosen by Southern Living as one of the South’s Best hotels. You will have some time to relax and enjoy your lovely surroundings before we head out to dinner at Chestnut. Co-owned by manager Kevin Westmoreland and head chef Joe Scully, Chestnut opened its doors in 2012 in an historic building in downtown Asheville. It has quickly gained a strong reputation for its creative, locally-sourced menu. Friday, June 8th is sure to be the highlight of this journey. Following breakfast, at the Inn we have reservations to visit the incredible exhibition – Chihuly at Biltmore. Dale Chihuly is perhaps the most famous of the many outstanding American glass artists and his work is exhibited all over the globe. He is well-known for his ambitious and immersive site-specific installations in gardens around the world. This is the first time that Mr. Chihuly has created such an exhibit for a garden in North Carolina. His most recent exhibitions have been at the Atlanta Botanical Gardens and New York Botanical Gardens. The creations by Chihuly and his team will turn the Biltmore Gardens and Grounds into a wonderland. You will also have time to do a “self-guided” visit to the spectacular Biltmore House. 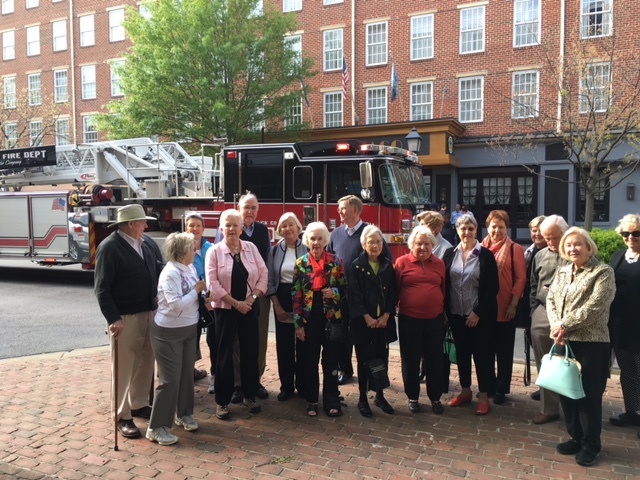 Following our morning at the Biltmore Estate, we will go into downtown Asheville where you will have time for lunch on your own and independent pursuits. Our glorious day will finish off with visits to two outstanding private collections located in nearby Weaverville. We return to Blowing Rock in the early evening, having spent a wonderful two days with friends, exploring the best that Asheville has to offer. To Register: Complete the enclosed registration form and mail it with full payment (make checks payable to Old World Travel) to Old World Travel, 129 Ridgewood Avenue, Charlotte, N. C. 28209. If you are paying by credit card, you may also scan your registration form and payment information to oldworldt@gmail.com. For additional information, contact trip coordinator Kathy Price at Old World Travel at (704) 372-0340. Space is limited and reservations will be accepted on a first-come, first-served basis. Included Features: Roundtrip private motor coach Blowing Rock; one-night hotel accommodations at the elegant Inn at the Biltmore Estate; lunch at Fig; dinner at Chestnut; breakfast at the Inn at the Biltmore Estate; admission to Chihuly at the Biltmore and the Biltmore House; private visits to specified studios and homes in the Asheville area; taxes and gratuities on included features; escorted by Old World Travel; donation to BRAHM in the amount of $75.00. Tour Costs: Tour costs are based on rates in effect on April 2, 2018 and are subject to change. Responsibility: OLD WORLD TRAVEL and/or its agents and BRAHM act solely as the agents of the various companies over the lines of which tickets are routed and this tour operated. Company and tour organizers assume no responsibility or liability in connection with the services of any aircraft or other conveyance, which may be used either wholly or in part in the performance or its duty to the passenger. The tour operator hereby reserves the right to cancel or alter, as she deems necessary. No refunds will be made for any part of this tour in which you choose not to participate.